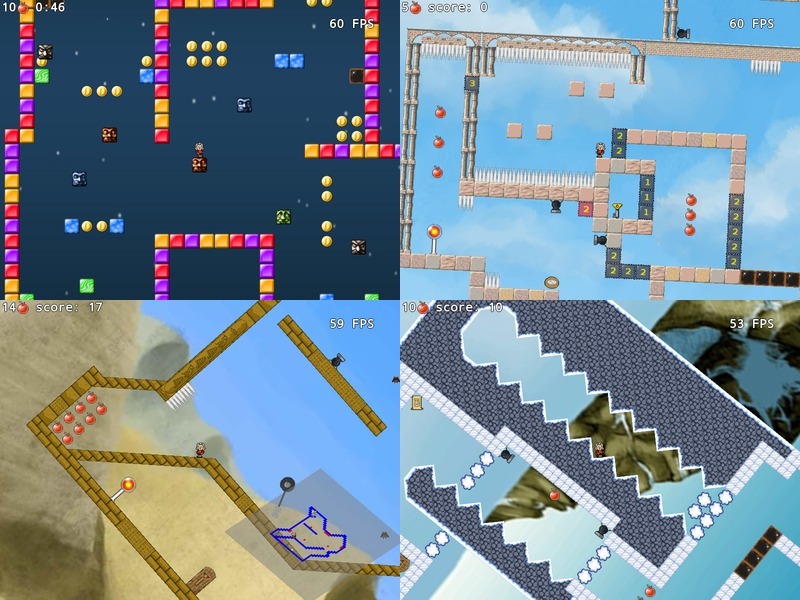 Newton Adventure is a free and open source 2D platform game. You play Newton, a very special hero who has the power to change gravity direction. It runs on every Linux, Windows, Mac OS X or any OS with Java and OpenGL support. Code is available under BSD licence, data under CC-BY-SA or more permissive licences. Donation or people wanting to Contribute to the game development are welcome.